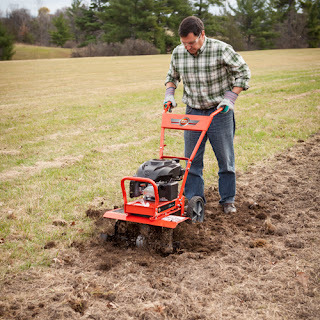 Choose from one of the categories below, and start the path to finding the best rototiller for your needs. 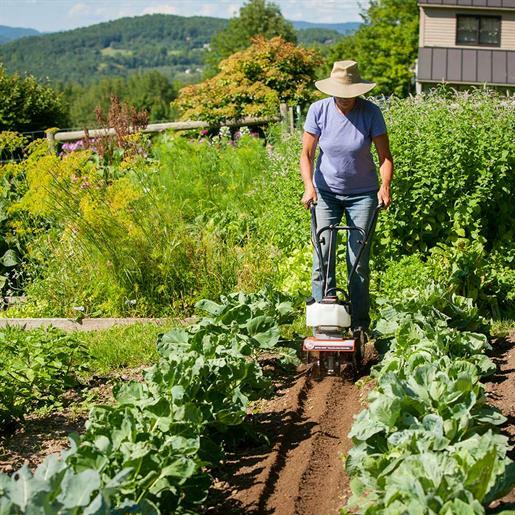 Cultivator Sometimes referred to as "mini-tillers," cultivators are light-weight, portable lawn tools. 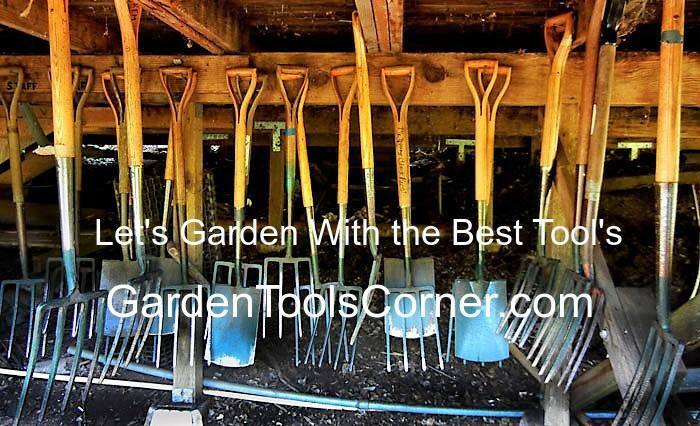 These are the perfect tool for weeding gardens and cleaning between established beds. They are Great! I am on my second one. First, the two-cycle Mantis tiller up-graded to the four-cycle last year. I used the two cycle for eight years. Very dependable, started having carburetor problems, so I went to the four-cycle what a great machine. Cultivators are either electric or gas-powered. They are propelled by the cutting tines, which rip through dirt and soil. 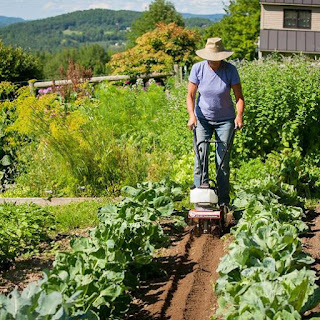 If you've got a small garden, then a cultivator will do the trick. 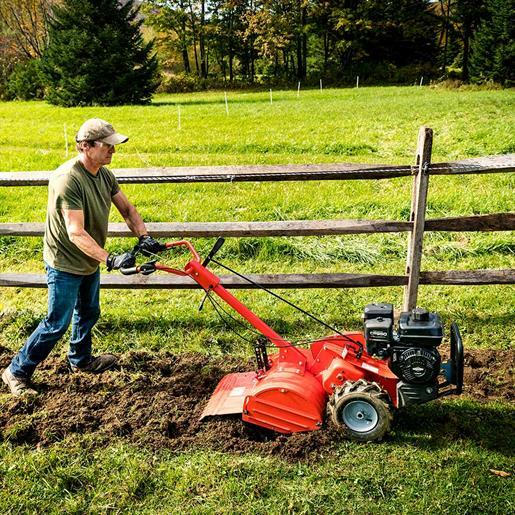 The Mini-Tiller, which makes a great companion tiller to a full-sized Tiller. You can use the Mini-Tiller to cultivate between rows for weeks or months after planting. And if you have only small garden beds, the Mini-Tiller just might be the only tiller you need. Garden Tillers have potent engines designed to break new ground. Garden tillers come in three different styles: front-tine, mid-tine or rear-tines. Front-tine tillers are typically cheaper and designed for weeding or stirring established beds. I do not prefer this type anymore. They tend to beat the hell out of you. When I was younger, I could use these man handler, type tillers. Thanks to rear tine tillers. Tilling is a whole lot easier. The hardest part for me is turning it around. My back has been fuse L-4 and L-5. to remedy this I place 1/4" plywood on the ends of my 25' X 50' garden. Real easy to turn, less resistance than sod. The Front Tine Tiller has (as the name hints at), tilling tines in the front. The tines rotate forward and are the tiller's self-propulsion mechanism as well as the tilling tool. A drag stake in the rear is used to hold the tiller back, providing resistance that allows the tines to slip through the soil. The Front Tine Tiller is best for established gardens. It's great for breaking up clods and integrating organic matter into your ground. The Rear Tine Tiller uses counter-rotating tines (CRT) and has powered wheels to propel the machine forward. Since the tines rotate in opposition to the powered wheels, the tilling action is more aggressive. 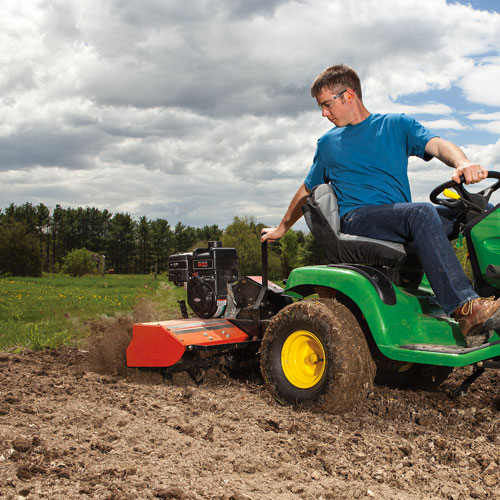 This gives the engine the additional muscle you need for more massive uses, like sod-busting or tilling in heavy clay soil. Our Tow-Behind Tiller is designed for larger gardens and making food plots. While you can certainly accomplish those jobs with a walk-behind model, it can get very fatiguing to do so. With the Tow-Behind, you merely hitch up to your ATV or garden tractor and till or bust sod while you ride in comfort. Be sure to check out the available attachments that can make your job even more comfortable. While a good tiller makes the job a lot easier, some essential preparation is sometimes necessary. If your soil has a lot of medium to more massive rocks, take the time to remove them before tilling. It will save you the frustration of "clanging" into them and possibly damaging your tiller. Rototilling soil when it is dry makes the task more difficult and isn't suitable for the ground itself (the tines will tend to produce dusty earth, which is more vulnerable to erosion by wind or water). But tilling soil that's too wet increases compaction and creates more clods. There is no magic formula for the right moisture content, but ideally, you should let it dry out for 2-3 days after a soaking rain (or after a long hose soaking). Finally, you can start tilling shallow and gradually go more in-depth, rather than trying to gain your full depth on the first pass. 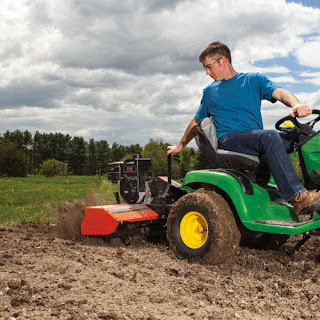 You can control for depth with the drag stake or—on the Tow-Behind Tiller—with the depth regulator right from your tow vehicle.